Evgen Pharma Plc (LON:EVG) is the topic of conversation when Vadim Alexandre, Head of Research at Northland Capital Partners joins DirectorsTalk. With Evgen proving it’s interim results and notice of a successful placing Vadim shares his view on the company’s outlook moving into 2018. 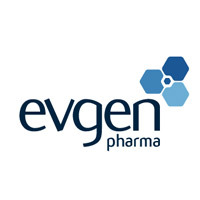 Evgen said this morning that it was pleased to announce it has conditionally raised £2.3 million (before expenses) via a placing of 19,166,667 new ordinary shares of 0.25p each (“Placing Shares”) in the Company at a price of 12p per ordinary share (the “Placing”). The net proceeds of the Placing will be used principally to progress the Company’s two current Phase II trials in subarachnoid haemorrhage and metastatic breast cancer and for working capital purposes. The net proceeds of the Placing may also be used to support pre-clinical work in additional indications.